Mike Boldt's bright and playful picture book asks a big question: Which is more important, numbers or letters? Numbers and letters, the colorful characters in this story, compete to be the stars of this book. Their debate escalates when funny animals and props arrive—starting with 1 alligator, 2 bears, and 3 cars. Who is this book really about? In the end, the answer is clear. This fresh and funny picture book plays with both numbers and letters in the most imaginative way. 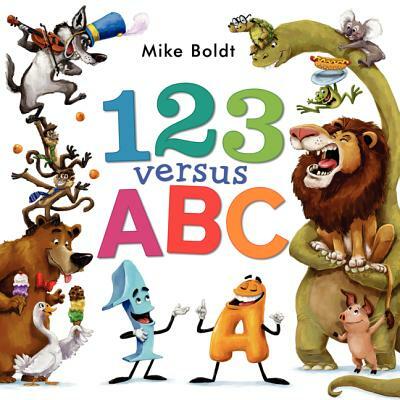 Mike Boldt is the author-illustrator of 123 versus ABC, which promises laughs "from A to 26," according to Publishers Weekly. Mike roams the beautiful Alberta prairies, where he wrangles colors, shapes, numbers, and letters into picture books.